It was in Tulum that we started our one month Mexican family road trip (mum, dad and a one year old) and it was also in Tulum that we went to of the nicest beaches we have experienced on our travels: fine white sand, turquoise blue water and nobody there… a magic place but Tulum is not just a beach destination as there are also special tourist sites to visit. 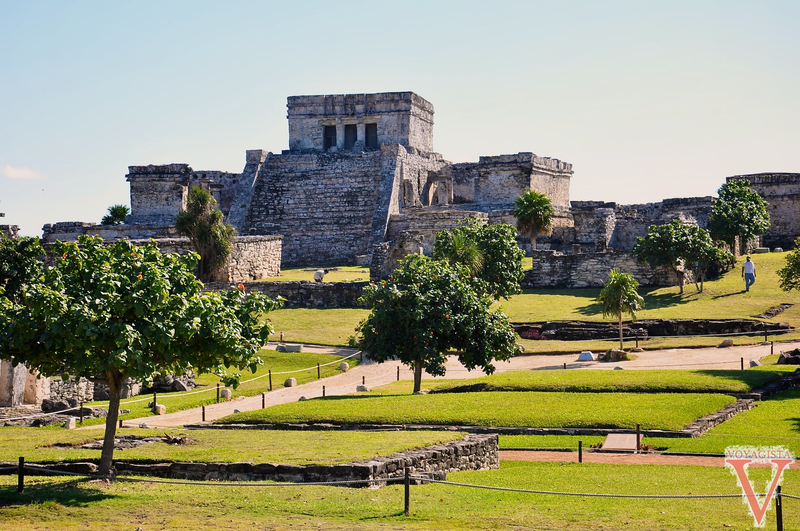 You need to go and see the Tulum temple early in the morning. 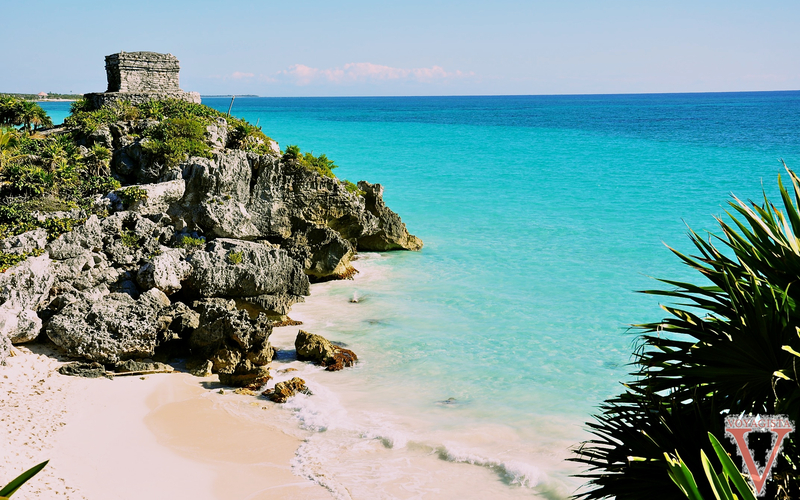 The construction is not the finest example of mayan buildings, especially compared to other places in Yucatan (partly due to their construction during the period of Mayan decline) but the location on a cliff with the turquoise sea in the background, is amazing! 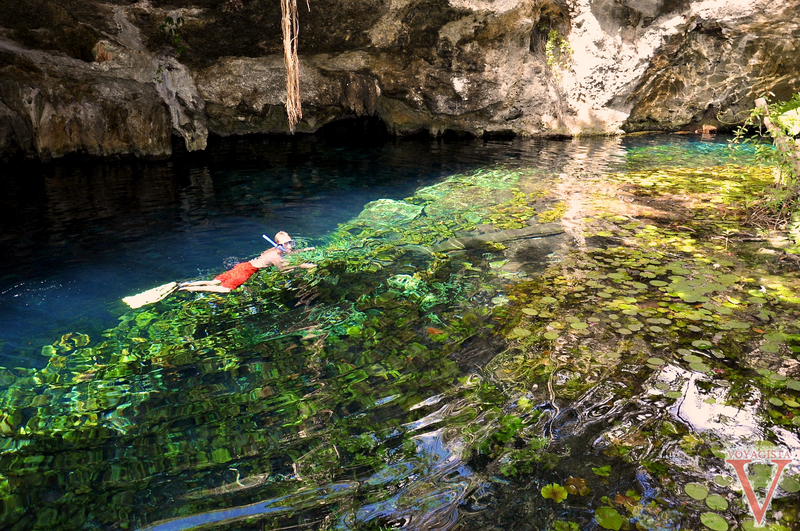 After our cultural visit to the temple in the morning, it was starting to get warm so we headed for one of the cenotes (they are waterholes that were very important ritualistically to the mayans) to do some snorkeling in the refreshing water. 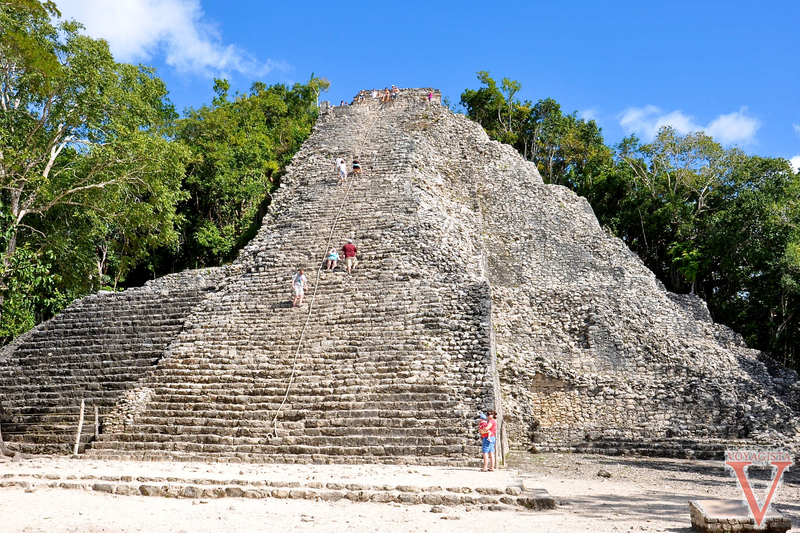 From Tulum you can also easily go on a day trip to Coba. 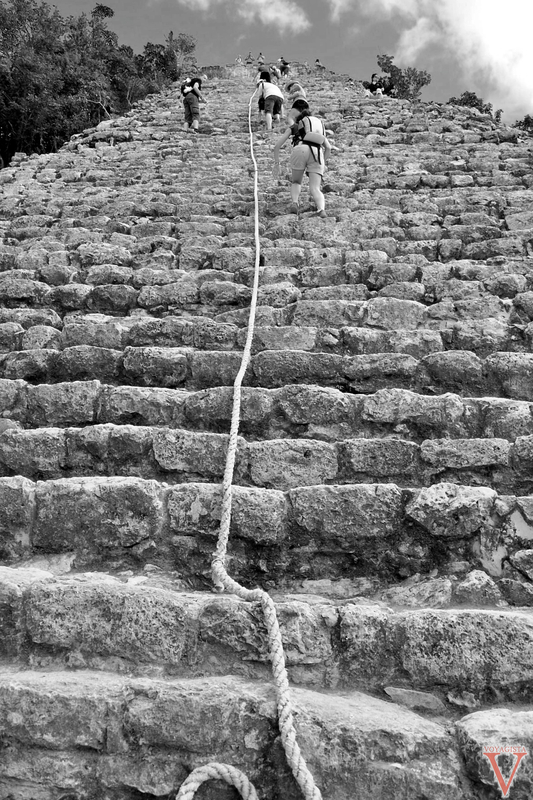 Coba was at one point as important as Chichen Itza to the Mayans but is not as well known nowadays. This is mainly because it is less photogenic, more difficult to reach and the exploration of the site is not finished yet. Here you can see remains of the sacbe (the mayan network of highways), and its also here that you are still allowed to climb the pyramid and experience the incredible view across the jungle. Tulum will always remain in our memory – thanks also to two interesting local characters: a local doctor and the service station attendant. The doctor diagnosed a water allergy for our child, which turned out to be chicken pox, and the service station guy was not only a pump attendant, but also a professional at ripping people off including us… The joys of travelling! 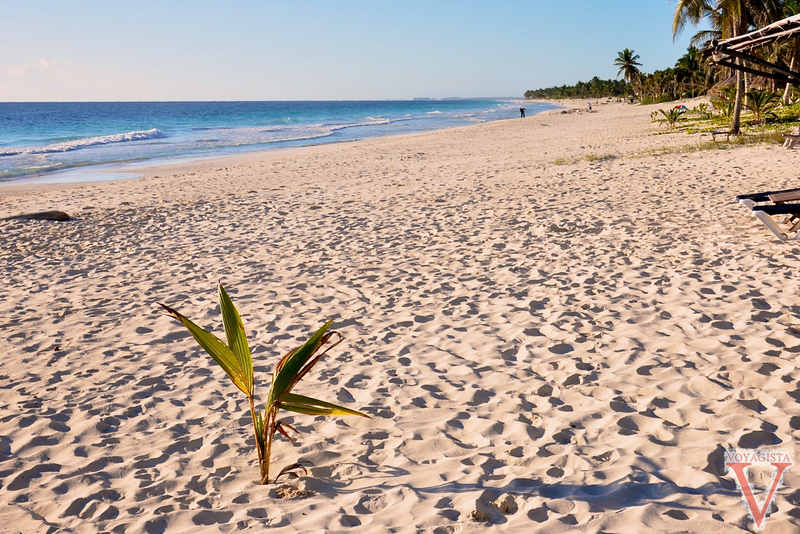 Better to visit Tulum at the open to be on your own. Don’t forget to take your swimming suit so you can go for a swim on the beach, where you can enjoy a nice view up to the ruins. The Coba site is huge, better to rent a triportor (or a bicycle) to make the most of your time. The entrance fee is cheaper than the other ruins in the region (57 pesos). 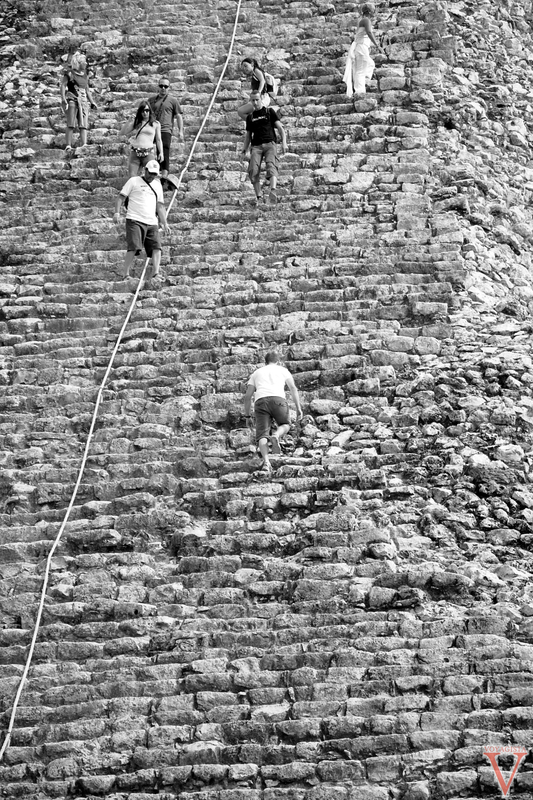 If you are scared of heights it might be better not to climb the pyramid! To visit yucatan rent a car as it’s very convenient… but be careful of the service station rip off: you pay with a 200 pesos note and the attendant lets it fall on the ground. When he picks it up, miraculously the note has lost a zero… We did some research on the internet and we felt a little better not to be the only victims of this magic trick. Has this happened to you?